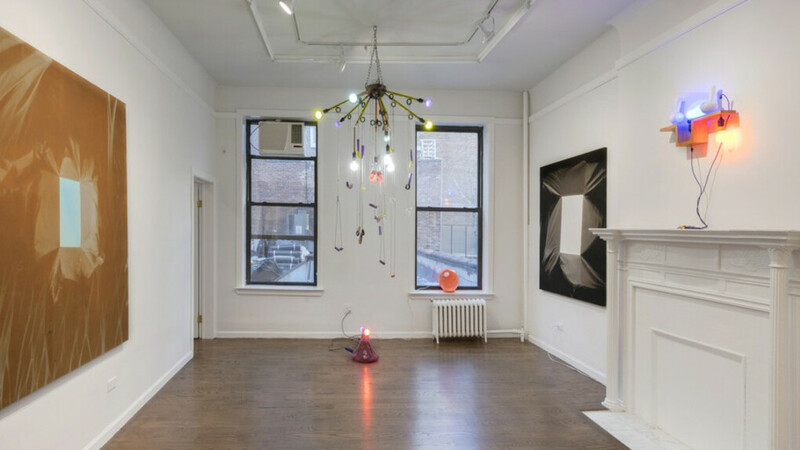 Halsey McKay Gallery is pleased to present Rainbows From Atoms, an offsite exhibition of new works by Chris Duncan and Elias Hansen on the Upper East Side of New York City. 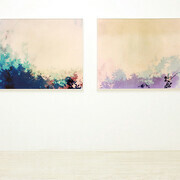 Both artists use light as subject and material to explore elemental and artificial occurrences in nature and the studio. 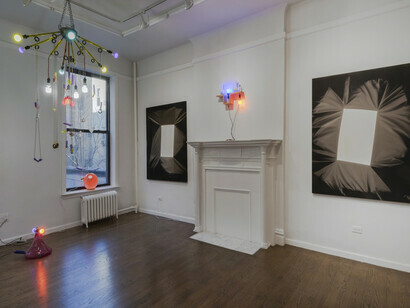 Adjacent to Johannes Vogt Gallery at 958 Madison Avenue, the installation features Duncan’s paint on sun-bleached fabric works paired with Hansen’s Light Sculptures, including desk lamps and a chandelier. 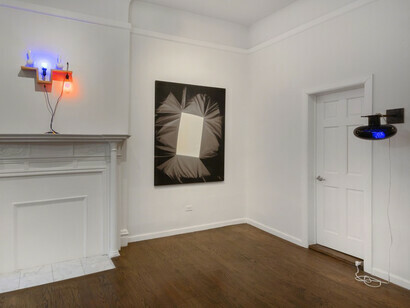 In a play of abstracted though mysteriously recognizable imagery and objects, the room offers vignettes of narratives. 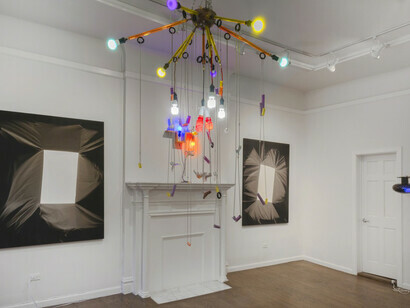 Elias Hansen’s objects, installations and chandeliers are comprised of an assortment of hand-blown pipettes, flasks and beakers alongside chains, sea glass, rubber tubing, chords and light bulbs. These interrelated materials are gathered into arrangements that reference the fragility of both the precious and the discarded found in a tinkerer’s shed. His hand-blown glass objects convey a regularity, not unlike that of a mass-produced process and call into question concerns of authenticity and reproduction. Using the sun as metaphor, inspiration and fabricator, Chris Duncan’s works absorb the phenomenon over prolonged periods. 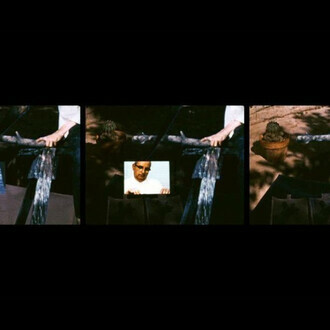 Begun at Stanford University, his sun-bleached works act as markers of time and an outlet for Duncan to capture environments and objects that are part of his life and practice: the skylight of his studio, windows of his home, and here, stereo speakers, bricks, and cinderblocks gathered around Oakland. Colored fabric has been wrapped around the objects and without the use of dye, emulsion or any purposefully manipulated chemical process. 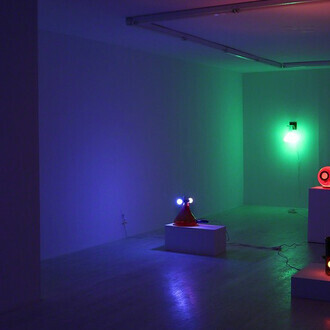 Imagery emerges through the ultraviolet exposure over months on his studio roof. 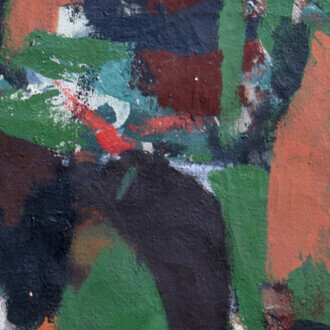 The objects are unwrapped and solid shapes of color are painted into the exposures, returning the works to his own creative space, and reclaiming them as authored paintings. Chris Duncan (b.1974, Perth Amboy, NJ) holds an MFA from Stanford University and a BFA from the California College of Arts and Crafts. 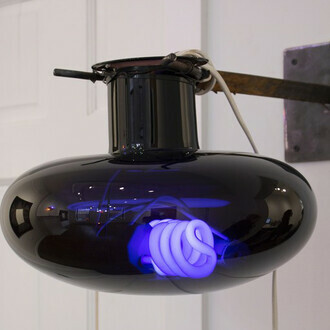 Chris Duncan has held solo exhibitions with Romer Young Gallery, San Francisco, CA; Cooper Cole Gallery, Toronto, Canada; V1 Gallery, Copenhagen, Denmark; and Halsey McKay, New York, and East Hampton, NY. 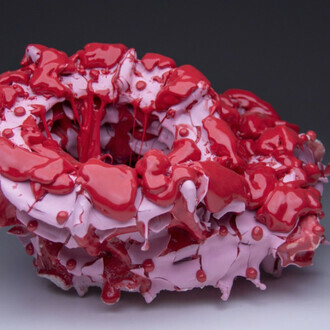 His work has been included in exhibitions at The Berkeley Art Museum, Berkeley,CA; Museum Of Modern Art, NY, New York; De Rosa Preserve, Napa, CA; and The Marjorie Barrick Museum at the University of Las Vegas Nevada. 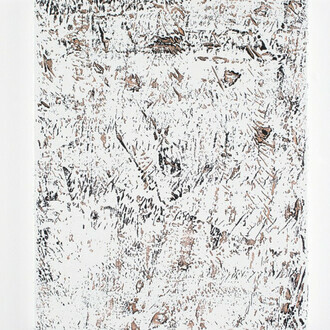 Duncan’s work is held in the collections of the Museum Of Modern Art, New York, NY; SFMoMA, San Francisco, CA; The Kemper Art Museum, St. Louis, MO; Berkeley Art Museum, Berkeley, CA and the Arsenal, Montreal, Canada. Outside of his studio practice, he organizes events and runs a small artist book press and record label called Land and Sea with his wife Maria Otero. He currently lives and works in Oakland, California. Elias Hansen (b. 1979, Tacoma, WA) graduated from New Orleans School of Glass and Print in 2001. 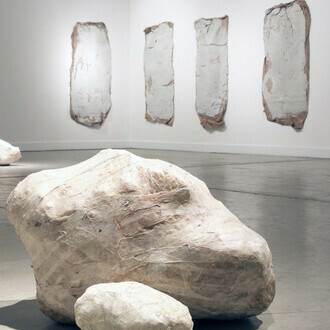 Hansens’ work has been exhibited at public and private institutions including the Palais De Tokyo, Paris, FR; American Academy in Rome, IT; Albert Baronian, Brussels, BE; Pomona College Museum of Art, Claremont, CA. 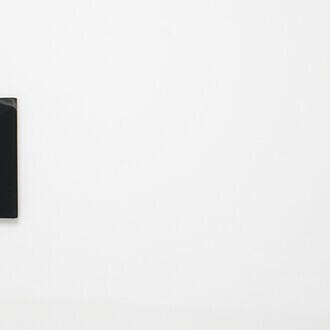 His recent solo exhibitions have been held at Maccarone, New York; Anat Ebgi and Team Bungalow, Los Angeles, CA; Take Ninagawa, Tokyo; Cooper Cole, Toronto, ON; Jonathan Viner, London, UK; and Halsey McKay, East Hampton, NY. 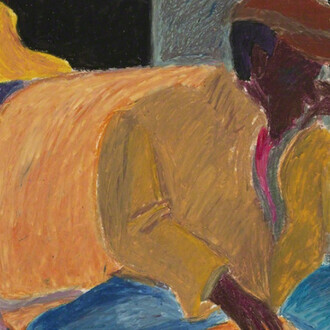 Hansen’s work is held in the collections of the Seattle Art Museum, and Henry Art Gallery at Washington University, Seattle, WA; Boise Art Museum, Boise, ID; Tacoma Art Museum, Tacoma, WA; Colección Jumex, Mexico City, Mexico. Under the name Asp and Hand, he and his wife Blair make collections of handmade glass for everyday use. Hansen currently lives and works in Bellingham, Washington.